Really cute shop in a neighborhood I wasn't familiar with. I hope to go back! Linda was very welcoming into her store. She has a beautiful display of merchandise that make great gift ideas. There is a nice variety of kitchen ware, glasses, books, candles, vases, cards and holiday fun to choose from at reasonable prices. I love this business and feel fortunate to have purchased something there. Fantastic, refreshing store. Best collection of home accessories I’ve found in Boston. I went to Greentail Table for the first time today and thought it was very charming, with wonderful items and gifts! I will return often! Thanks so much to Linda, the lovely owner! Love this store with the right mix of new, whimsical, and very functional kitchen wares. I like having items that are uncommon and well made in my home. Plus everything was reasonably priced so I will definitely return and will be bringing others! Lots of neat useful creative and eclectic entertaining items and reasonably priced!! Wonderful gifts at good prices. Love Green Table...using the Nift gift was easy! Thank you! I'm happy to have found such a nice gift shop close to where I live. Thanks! Very cute store with lots of fun finds. Very nice staff and they wrapped my purchases for gift giving! Beautiful store, great gift wrap! We have gone to Greentail numerous times to buy great gifts. This was a treat to get a $15. nift gift. Sweet little gift shop with tasteful collection. This store was great! Perfect size-not too overwhelmed with options but a great selection. I had driven by lots of times and never stopped in but I’m so glad I did! I got a couple of great little items for the kitchen that I’m really looking forward to using. Staff was super friendly and helpful. Greentail Table is a cute, bright, and clean boutique shop that sells high quality and unique housewares that make great gifts. The staff was pleasant and helpful, but items can be a bit pricey. This store is such a hidden gem! I had driven past is dozens of times but finally went in. The sales associate was attentive but not overbearing, providing an exceptional level of customer service. There were so many useful, “home-y” and cute items in the store. I will definitely be going back again and am excited to see their seasonal changes for fall/winter! Shopkeeper was really helpful. Amazing selection of quality, unique items that are reasonably priced. Nothing cutesy (like what you'd see at the Hallmark store). Would be happy to have any of the items in my house. I will be back! 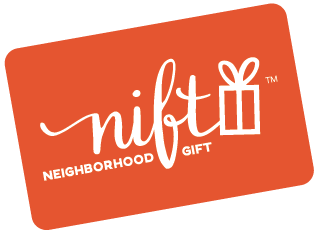 A fun store that I never would have known about without this Nift offer. The merchandise is lovely and of high quality. The service was perfect. Helpful but not pushy. Nice to find out about a new, to me, and unique store. Special inventory I haven't seen elsewhere. Very welcoming and friendly service. The selection of items was quite vast and very stylish, beautiful, and modern. It’s the perfect store to go to for a gift or for a treat for yourself. A great selection. Perfect experience! I was pleasantly surprised to find it full of unique and cute gifts with a wide selection in varying prices. The staff was very helpful and pleasant. I will definitely be back to purchase items for myself and as gifts. Would recommend this shop to others! Great shop, cool items and good service! This store is amazing and has such cute items! Great for decorating your own home or for finding a hostess gift! it has some great items but extremely overpriced, esp for Nonantum. I would not go back again without a certificate. The Niftgift encouraged me to go to Greentail which I had been to in a year. Found some wonderful gift items! Super friendly owner. No pressure shopping. Great, unique selection. It was a cute store, which has all kind of gifts. Prices are affordable and staff is very pleasant. I will definitely go there, if I need to buy a gift, and will recommend to all my friends. I really enjoyed "discovering" this gem of a store on Watertown Street. I never even knew it was there. It had very stylish and innovative home decor and party items. The owner was incredibly friendly and helpful. I hope more people discover this place and keep small businesses alive in Watertown. Friendly, lovely staff Wide selection Adorable set up! I was impressed with the quality and uniqueness of the gift selection and will definitely return. Wonderful women working there, the owner is great, and everything in the store is beautiful. I love it and am so glad it is in Newton. I would never have discovered that quaint little shop without Nift. A place I sure will go back to for awesome and unique gift finds. She even gift rapped it for me. Very much appreciate it. I had a very positive experience with both the gift choice and the shopping experience at Green Tail Table. Nice small business with a wide selection of items in all price ranges. The owner and everyone that worked there were genuinely kind and helpful. Will definitely consider Greentail Table again for unique gifts. Adorable finds and awesome owner! Full of quirky home decor, many of which are handmade, which were delightful to look through. Very friendly owner who knew when to be attentive and when to let you roam. The price point for most items was a tad high, but definitely fair for the quality. Thank you! Beautiful store. Will go back. Greentail Table is a terrific addition to the retail scene, especially since it's in down to earth Nonantum. The owner / manager has exquisite taste and really curates all that she purchases for her store, making it easy for customers to find something that is of high quality, useful, and appealing. I hope the word gets out. This place deserves to succeed. Lovely aesthetics in the store, and a great variety of items! Nice selection of gifts, tableware, etc. Sales women was helpful and pleasant. Interesting,well curated household goods and gifts.Lots of moderately priced goodies for that little something hostess gift.Good variety. Green tail table is the most precious gift store I have been in a very long time. So nice to shop and a small locally owned store! Excellent! Like the shop environment and many creative and cozy merchandise. Didnt wanna leave :) Staff super nice. This shop is a hidden gem- happy to have discovered it. While many items did not match my color scheme or taste for my own home furnishing, I came away with ideas for gifts for weddings and Mother's Day. I didn't know about Greentail Table until I got the Nift certificate. It's a great shop and I'll visit it again! What a fascinating gift store! Lovely selection mostly having to do with home decoration and table settings...but then some. Many items were fair trade and eco-friendly made from natural materials and from interesting places around the globe. A real international shopping experience! Very good selection of table & kitchen items including attractive holiday decorations and cards. Cute gift store. Wrapping available for last minute presents. Greentail is an excellent store. The gal that assisted us was very helpful and knowledgeable about the products. I will most certainly be going back there in the future and recommending the store to my friends. Very cute store with interesting things. I appreciate they have sale items too, as so many of their items are tempting. :) Pleasant owner as well. I will definitely be back! Super cute store, right down the street from my house! Very friendly and helpful, I'll definitely be back.